I feel strongly that learning sight words and high frequency words is very important to my kiddos building skills and excitment as a reader. Because of this I try to make learning sight words a fun and hands on activity in my classroom. 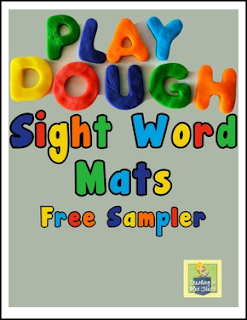 In this free download you receive a sampling of my playdough sight word mats. All you need to do is print and laminate and these mats are ready to use in your classroom. They make a great center, word work or early finisher activity. Check-out my store for other great activities to make learning sight words fun!